Does the Word have the last Word? "Whom shall he teach knowledge? and whom shall he make to understand doctrine? them that are weaned from the milk, and drawn from the breasts. For precept must be upon precept, precept upon precept; line upon line, line upon line; here a little, and there a little." -Isaiah 28:9-10. Where in the bible does it teach that it has the last word? That it is all we need? And that it is enough? Yes the bible is very clear that the books of the bible are complete and enough for the Christian to build the proper faith Christ wants him to have. Lets take a closer look at this truth. "Thy way, O God, is in the Sanctuary." -Psalm 77:13. The earthly sanctuary was a "pattern" of the true heavenly sanctuary in heaven (Study this in Hebrew 9 – 10), where Christ the true high priest ministers there on our behalf. Lets see that quickly before we proceed. Study the following chapters: Exodus 25 (note verses 8-16), Exodus 26 (note verse 30) Exodus 27 (compare verse 2 with Revelation 9:13), Exodus 30, Leviticus 16 and Leviticus 24. I know it's much, but the whole books of Exodus and Leviticus deserves serious study. If you've done this, you will notice, the outer court contained, as you walk in, first the Alter of sacrifice. This pictures the death of messiah Jesus. What's the first thing a believer does to actually become a believer? He "believes" in the "sacrifice" Jesus the true Lamb of God did. As you continue walking in, you find the bowl of water. This symbolized baptism, the next step a Christian takes after believing. Now, visualize yourself walking into the first apartment of the earthly sanctuary. The three things you'll find in there, if you studied these chapters, are the Table of shewbread, the Alter of incense and the 7 branch candle sticks. These symbolizing 1) Jesus the bread "that came down from heaven" and his words "spiritual food" that the believer now studies intensively in his walk with Jesus. 2) His prayers, which ascend up as sweet incense to the throne of God (Rev. 8:3). And 3) Jesus being the "light" of the world in this new converts life, shining in this dark world for all to see his example of a Christian life. In the last apartment you find the 10 commandments, the written character of Christ manifesting itself in the life of the true believer. So we see then how this study teaches us of the whole plan of salvation – laid out in plain view for all those who seek to know it. "Until I went into the sanctuary of God: then understood I their end." -Psalm 73:17. Within the Sanctuary it was commanded to place, as already noted, a table of "shewbread" in the holy place, the first apartment of the sanctuary. Read Leviticus 24:5 and 6, closely. Notice how God commanded that upon this table there be put 12 loaves of bread. Now many people will say that this can symbolizes many things such as the 12 apostles, the 12 stars upon the women's head in the book of Revelation, and so on. But lets follow the rule we noted earlier in Isaiah 28:9-10, and let the bible tell us. Notice how peculiar God was in setting these pieces of bread upon this table; he said to put 6 loaves on one side and 6 loaves on the other. Why 6 on one side and 6 on the other? Why not make it easy and just put them on the table no matter what the order, or just stack it all on top of each other? Because God wants to teach us something with this, as he knows everything, even the future. Let me ask you this, what does "Bread" symbolize according to the bible? Well, Jesus said, "I am the Bread of life." Study this in John chapter 6. There you go! Bread in the bible symbolizes Jesus. But are there 12 Jesus'? Or 6 Jesus' here and 6 Jesus' there? Of course not, so there has to be more then this. Note closely John 5:39 in your bible. One version renders it: "You study the scriptures, and these very scriptures speak about me!" That's it! The scriptures, which speak about Jesus who is the bread, will also be symbolized by "bread." 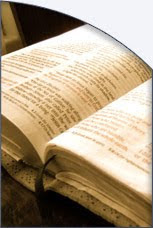 How many books are contained within the bible? Look it up… its 66.